NEW YORK, NY — The Fund for New Citizens in The New York Community Trust is awarding more than $1 million to New York nonprofits that provide critical support to immigrants in the face of increased discrimination. The latest round of funding is part of a larger, ongoing effort by the 14 foundations that support the Fund to help local, immigrant-led nonprofits advocate for and educate immigrants as they navigate an increasingly treacherous landscape. Over the past three decades, the Fund for New Citizens has awarded more than $25 million in grants to groups across the five boroughs. But as the climate has worsened as a result of recent federal policies, the Fund’s work has grown even more urgent. Deportations in New York City increased by more than 150 percent from 2016 to 2018—and new deportation cases in the city reached an all-time high of 19,750 at the end of last year. Many of the Fund’s grants will help organizations share information with local immigrants about their rights and legal options. Bronx Legal Services and other members of the Bronx Immigration Partnership will conduct “know your rights” workshops for at-risk immigrants in the Bronx, and help them create emergency plans for what to do if they are detained or deported. Movement for Justice in El Barrio, Council of Peoples Organization, and Damayan will offer similar services, respectively, to Hispanic immigrants living in East Harlem, South Asian immigrants in Brooklyn, and Filipino domestic workers. New York Legal Assistance Group will provide legal advice to young immigrants enrolled in the City’s high school equivalency courses. Community Resource Center will help immigrants living Westchester apply for Deferred Action for Childhood Arrivals, Temporary Protected Status, and other forms of immigration relief. Several grants will help immigrants facing increased discrimination from landlords and employers who are using stepped-up enforcement as an excuse to exploit renters and workers. Brandworkers is pressing employers to provide immediate notice of I-9 audits by the Department of Homeland Security, fair severance pay, and other protections. Chhaya Community Development Corporation will work with tenant associations and community groups to help South Asian and Indo-Caribbean immigrants address landlord harassment, hate crimes, and immigration raids. Several groups are bringing together coalitions of immigrant-serving nonprofits and their allies in defense of immigrants’ rights. Hispanic Federation will coordinate a group of five organizations—one in each borough—that are working together to respond to detentions and deportations. Long Island Jobs with Justice will mobilize Long Island residents, including labor unions, faith-based institutions, and student groups, to protect those fearing deportation. Make the Road New York will continue building a network of volunteers that collects and disseminates information about immigration raids. Other grantees are advocating for immigrant-friendly policies at the local, state, and federal levels. African Communities Together and Adhikaar will both raise awareness of the need for a permanent legislative solution for immigrants from Nepal, Somalia, Sudan, and other countries who came to the United States following disasters or crisis in their home countries and received Temporary Protected Status. New York State Immigration Coalition will campaign for expanded access to New York State drivers’ licenses, so immigrants can get where they need to be safely. Organización Latino-Americana of Eastern Long Island will press for legislation that bars police in Southampton and East Hampton and East Hampton, Long Island, for cooperating with immigration authorities except in cases of criminal conduct or when the law requires it. Families for Freedom will advocate for more humane criminal justice and immigration policies. Finally, the Fund’s capacity-building grants program will help several lynchpin, immigrant-led groups resolve critical administrative challenges—advancing the Fund’s ongoing efforts to build the capacity of the City’s immigrant-serving nonprofit infrastructure and ensure that it reflects the ethnic, geographic, and linguistic diversity of New York’s immigrant populations. Academy of Medical & Public Health Services, a nonprofit that works to improve healthcare services for Chinese- and Spanish-speaking immigrants in Brooklyn, will create a plan for finding and maintaining more non-government sources of income. Laundry Workers Center, which helps local immigrants campaign for better living and working conditions, will work with its board to bring on new donors and plan a cultivation event. In addition, Lawyers Alliance of New York will provide legal assistance and training to grantees of the Fund and other immigrant-serving nonprofits. 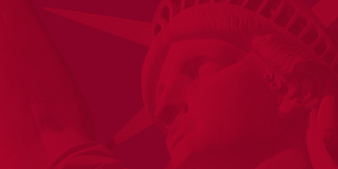 The Fund for New Citizens was established in 1987 to coordinate foundations’ response to changing laws, policies, and circumstances affecting immigrants living in New York City. A collaborative effort of 14 foundations housed at The New York Community Trust, it supports advocacy for policies that benefit the City’s immigrants, capacity building for the immigrant-led groups that anchor this advocacy, and affordable immigration legal services. It also provides opportunities for foundations to learn about current immigration issues and coordinate funding to reach immigrant communities more effectively. Over the past three decades, the Fund has made more than $25 million in grants to groups across the five boroughs that reflect the racial and ethnic diversity of the City’s immigrant population. Current fund members include: Altman Foundation; Morton K. and Jane Blaustein Foundation; Booth Ferris Foundation; The Clark Foundation; FJC, A Foundation of Philanthropic Funds; Ford Foundation; Foundation to Promote Open Society; Harman Family Foundation; Interest on Lawyer Account Fund of the State of New York (IOLA); JPB Foundation; The New York Community Trust; New York Foundation; Charles H. Revson Foundation; and RCHN Community Health Foundation. The New York Community Trust connects past, present, and future generous New Yorkers with vital nonprofits working to make a healthy, equitable, and thriving community for all. We are a public grantmaking foundation dedicated to improving the lives of residents of New York City, Westchester, and Long Island. For more information, visit us at nycommunitytrust.org.